FraudLabs Pro plugin is a fraud prevention module to help merchants screen incoming orders for payment fraud. The plugin validates the incoming order details in real-time – it takes only a fraction of a second to complete the screening. Right after the validation, the plugin will produce a comprehensive fraud validation report. This report contains all the important information pertaining to your order, such as the buyer’s location, email information, proxy information and so on, to facilitate your decision making. In addition, you can also configure rules to control the flow of your order. For example, suspicious orders can be put on hold for manual review but payments for legitimate orders can be processed normally. The plugin will certainly help to reduce your manual review activities which will allow you to focus more on your marketing strategy to grow your business. You may learn more about the plugin at our resources page. In the following section, we will teach you how to install FraudLabs Pro on WooCommerce. We will assume that you have successfully set up the WordPress platform and WooCommerce plugin. If you require any help for the WooCommerce set up, please visit this article, WooCommerce Tutorial: How to Set Up Ecommerce on WordPress, for details. Login to WordPress admin page. Click on the Plugins->Add New menu. Search FraudLabs Pro for plugins. Click on the Install Now button for FraudLabs Pro for WooCommerce plugin. Once successfully installed, click on the Plugins at the side menu. Click on the Activate option. 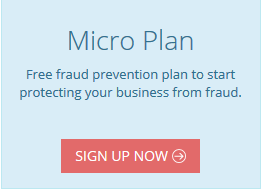 Click on the FraudLabs Pro link at the side menu. Enter your API Key. You can sign up for a free API key at http://www.fraudlabspro.com/pricing if you do not have one.